For general sanding and for use with orbital sanders. Cabinet paper is manufactured with a paper backing, which could be cut to various sizes according to the requirements. For orbital sanders the sheets could be cut to the length the machine requires. Eg. for 1/3rd sheet orbital sanders, the cabinet paper is cut in to 1/3rds etc. When talking about sandpaper "grit" is a reference to the number of abrasive particles per inch of sandpaper. The lower the grit the rougher the sandpaper and conversely, the higher the grit number the smoother the sandpaper. This make sense if you imagine how small the particles on an 1000-grit sandpaper would need to be to fit into a 1" square (25,4mm square). Sandpaper is referred to by the size of its grit (Example 120-grit sandpaper or P120 sandpaper). You need to choose the grit size of sandpaper depending on the particular job you are trying to accomplish. For heavy sanding and stripping, you need coarse sandpaper measuring 40- to 60-grit; for smoothing surfaces and removing small imperfections, choose 80- to 120-grit sandpaper. For finishing surfaces smoothly, use a super fine sandpaper with 360- to 600-grit. Many jobs require you to “go through the grits.” This means you start the project using lower-grade grit and use finer pieces of sandpaper as you progress. 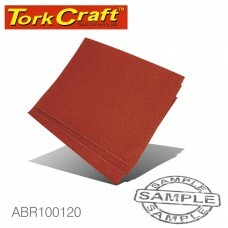 Each time you advance to a higher grit sandpaper, you remove the scratches from the previous layer.